Whenever I am looking for ways to make money from home, I pay a lot of attention to techniques, which don’t require a lot of skills and knowledge. Well, not that long ago I have been wring about selling images online and this job opportunity refers to pretty complicated work (you need to be a pretty nice photographer to come up with unique and high quality work, which will sell). That is why I spend a lot of time looking for earning ways, which don’t require you that many skills and I think that article writer jobs is something many of us will be interested in. Lets go back a little and remember get paid to write articles opportunity at Factoidz.com. This review has got some exposure already and I think it will be interesting for you too. If you follow all my posts and all content, which is being posted on IncomeBooster.org, you know that there are two ways of earning money by content generation – freelance article writing and get paid to review possibilities. Right now you have checked out a website, which pays you for writing articles online, so why not find out about a simple get paid to write reviews earning possibility. Ciao is a great site I used to work at and checking it out will be pretty useful to you too. But now I have anther site to tell you about, it is called DooYoo.co.uk and they are looking for people, who are willing to write articles and get paid for such work on the Internet. I see that DooYoo is a website, which deals with consumer reviews and allows you to write reviews of something you have used, earn special points and get paid. It is somehow different from other article writing jobs I have blogged about. After visiting DooYoo.co.uk, I came up with some questions – “If they offer earning opportunity, why not state it on the front page?” and another one “How much can we make with DooYoo.co.uk, without having to sign up and actually starting to work?”. Yes I know, the website looks pretty professional and has a lot of traffic (by saying “a lot”, I mean thousands of people per day), but people, like me, who would like to write reviews for money, won’t find the pay per review rates. All I can do is to think that money earned per every written review depends on the exposure your articles receive. As far as they are a consumer review website, you, as a simple writer, can produce content according to your personal experience, which means that you won’t have to research before writing, which is always simpler (I base everything on my own experience, after running this blog for over three years now, I know how tough it could be to find out all the information about Internet earning possibilities). 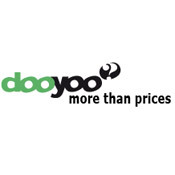 As for payments at DooYoo.co.uk, I have found just some information – you will be able to convert your balance into Amazon.com on-store credits, various online gift cards or give the money to local charity organizations (which is always nice). Well, no matter what, you should try working with DooYoo.co.uk, which is an awesome website, which will reward you for awesome writing. Even though they don’t tell you how and how much you can make money by writing here, this opp looks pretty nice to me. Thanks for reading and don’t forget to subscribe to IncomeBooster.org – your source for make money online and work from home news. Keep up with work from home world and leave me your questions and comments (it makes my day). I want to Income booster. In my experience, as long as you have time and the enthusiasm, you can work and make money online. 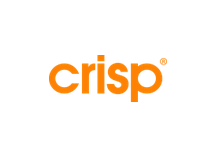 I started with paid surveys and paid reviews and now I am able to making money online without any problems. You can use some great online resources like Paid2Review that feature work from home jobs and sites where you can register, work and get paid. I think what’s best for you to do is just chart out a plan as to how many hours per week you have to spare on online jobs. First few weeks may be a challenge but once you are into it, there is no going back. I really enjoy my work from home and I am able to make money working part time from home. This is great! I hope this helps. Thanks for the insightful article. It sure, gives me a lead.